One of the main outcomes of the United Nations Conference on Sustainable Development (Rio+20), held in Rio de Janeiro in June 2012, was the agreement by Member States to develop a set of sustainable development goals (SDGs). Rio+20 did not elaborate specific goals but stated that the goals should address all three dimensions of sustainable development in a balanced way and be coherent with and integrated into the UN development agenda beyond 2015. The Intercontinental Network for the Promotion of the Social Solidarity Economy (RIPESS) is preparing recommendations for the post-2015 UN Development Agenda that would include a greater role for innovative social solidarity economy practices and networks globally. RIPESS is currently undertaking broad consultations to ensure these recommendations are reflective of the priorities of social solidarity economy stakeholders globally. 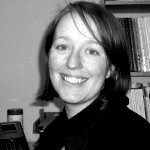 Shannon leads NSI’s work on development cooperation and is a researcher with NSI's Governance for Equitable Growth program, focusing on governance of the aid architecture, aid effectiveness, and aid and the private sector. Prior to joining NSI, Ms. Kindornay worked on human rights, governance, and trade and development at the Canadian International Development Agency. 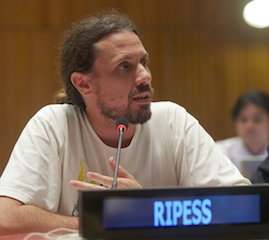 Daniel is Operations Manager of RIPESS, representing the Network at the UN Non-Governmental Liaison Service Consultations on Advancing Regional Recommendations on the Post-2015 Development Agenda last fall. He was previously Executive Secretary of the Brazil Solidarity Economy Forum. This session begins with presentations by Shannon and Daniel, followed by an interactive question and answer period facilitated by CCEDNet Executive Director Mike Toye. You will need speakers or a headset on your computer to participate. To ensure your system will be compatible with our webinar platform, try this connection test or look at the Adobe Connect quick start guide prior to the session. CCEDNet webinars are usually free for members and $20 for non-members. This session, part of the Canadian CED Network’s International Committee webinar series, is free for everyone thanks to a partnership with Uniterra. Report "Advancing Regional Recommendations on Post-2015"
RIPESS contributions to the SDSN report on "Sustainable Development Indicators"
Post2015.org: what comes after the MDGs?